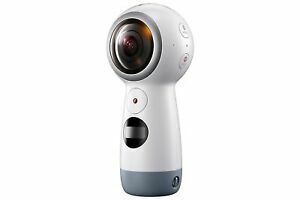 Whether for capturing a memorable event or just sharing on social media, the Gear 360 gives viewers a feel of what the cinematographer's world feels like, with a 360-degree video capture in glorious 4K. It allows one to switch recording between single and dual camera depending on the user's preference. It is fun and very easy to use, sleek, portable, with an attractive yet ergonomic design.